It’s taken Ryuki a while to complete this review - he has rigorously tested every facet of this machine before submitting his final thoughts. Check out Part 1 of his Wii U Review. It’s taken me awhile to come around and complete this review - Instead of rushing out and reviewing this console injudiciously, I wanted to rigorously test every facet of this machine before I could feel confident on publishing my final thoughts on it. To breakdown this review, I have sectioned each part of this review into two parts to make it an easier review. Without going into and bogging you in too much technical details or jargon, I will get straight to the points that matter. Ok, let the show begin! Games tested and played: Zombi U, Super Mario Bros. U, Trine 2, Call of Duty: Black Ops 2 and Darksiders 2. 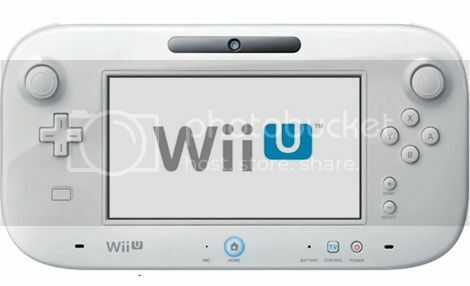 The Nintendo Wii U features two main pieces of equipment: first is the console itself, a rather bland rectangular box. It features many vent areas, cables for HDMI, connectivity for SD-Card, USB ports for extra controllers that also act as a charger for them and a port for the sensor bar to connect to, much like the original Wii. 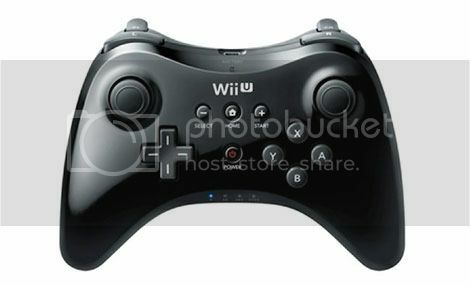 Second, is the Wii U's most important peripheral making the console’s experience unique, the Wii U GamePad. As you no doubt already know it's essentially a fairly large sized controller that features a nice sized touch screen that doubles up as a TV screen. The Wii U, as a console, is very tidy looking. The black box console is extremely small when compared to its competition the Xbox 360 and PS3. It was relatively easy to setup and is extremely quiet with little fan noise when running software. In a nutshell, the GamePad really feels great. Although it looks clunky and heavy, it's actually the complete opposite – many games feel fantastic when played through this controller and it's extremely light considering the technology housed within. The GamePad typically features mirrored interaction with what you see on your TV screen displaying either gameplay streamed live from your TV screen without lag or delay, or messages, control functions or information pertinent to the application you're using. For example, the Wii U's YouTube app utilizes the GamePad screen to display the “Info” section about the video you are watching. The touch screen is very responsive, probably the best iteration of touch screen I have come across to date. While the GamePad comes with a stylus pen, I found using my own fingers was fast enough to interact with whatever the touch screen displayed. Sound is also produced via the GamePad and so when another person wants to watch the TV, you can switch your gameplay to the screen instead. However, not all titles are supported for this function at the moment, particularly 3rd party titles. Another function I loved and have got used to is that the GamePad can also control your TV. It’s a fantastic time saving tool that really bridges that gap between TV and video game console, creating an integrated entertainment experience. For those who purchased the Premium edition of the Wii U, they'll also have the option of playing games with the GamePad Pro controller. Although this qualifies as a Pro and a Con (you'll find out why later), I will say for the record that this controller doesn’t just look sleek but works fantastically. Effectively it's a robust Wii Classic Pro controller. Another pro/con is that the console is also compatible with the original Wii controller peripherals such as the Wiimotes, Nunchucks, Classic and Classic Pro controllers. Motion control feels a tad bit more responsive, but nothing staggeringly different, it just doesn’t feel as “jagged” as on the original Wii. Upon starting up the console I found several issues. One of them was absolutely game shattering and also ruined the online experience. That is, the Wii U’s Wi Fi. The Wi Fi, to put it simply, is ineffectively implemented. I found that the console would constantly disconnect and reconnect to the Internet no matter what work around I used to remedy the situation. Doubly, this weak connectivity caused my games to freeze and crash the console. Crashing on the Wii U is not a pleasant experience, as any power off buttons don’t work. The Wii U GamePad also freezes along with the console. The only way to reboot is to forcefully detach the Wii U from its AC power source for it to reboot. I eventually found the source of the Wi Fi issue to be the distance from the router is the main problem. Before you say this is an issue that only concerns my router and setup, I have to remind you that many like myself own multiple game consoles and other electronics all of which work with no problems with the Wi Fi, no matter the distance from the router. The Wi Fi issue was truly was one of the largest negatives I found with the console as it can completely debilitate and ruin your experience. Other miscellaneous issues such as long loading times with games/apps (that were insignificantly decreased by Nintendo’s recent patches) can be a complete pain in breaking up your momentum while getting psyched for a gaming session, particularly with friends. Another very annoying con of this console is the exclusivity of the Wii U’s GamePad Pro controller that is appallingly under utilized in many software titles. A game like Super Mario Bros. U lacked zero connectivity with this controller and other third party games force the regular Wii U GamePad or older Wiimotes to be primary players over this game pad – truly ridiculous. I also didn’t appreciate shoehorned nature of the Wiimotes in the first place as I felt that the very inclusion of this control style detracted from this console ever being an evolution and made the console ultimately feel more like a add-on or “expansion” to the original Wii console. That concludes the part of my review covering the hardware of the console. Check back tomorrow for Part 2: The Software and Conclusion.